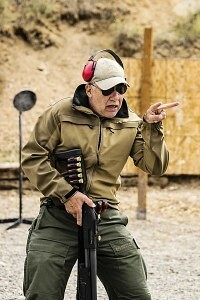 Action Target has selected some of the best firearms instructors in the industry including instructors from Safariland Shooting School, Hoffner’s Training Academy, Spartan Tactical Training Group and others. 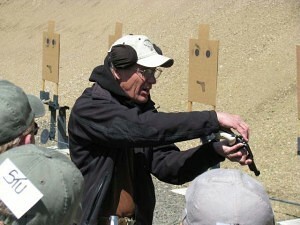 These instructors offer decades of experience in firearms and tactical training. Click here for more details about the courses offered. LETC is limited to the first 160 paid applicants, and classes are first-come first-served. Slots are filling up fast, so register today. While primarily geared toward law enforcement firearms trainers, all law enforcement officers are invited to attend. Join us for a week of top-notch firearms training. Click here to download the registration form, and email academy@actiontarget.com with any questions or concerns. 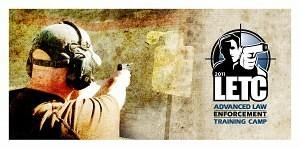 Registration for Action Target’s annual Advanced Law Enforcement Training Camp (LETC) is now open. 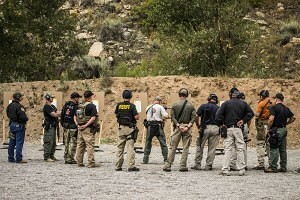 LETC will be held from September 8 – 12 at Action Target headquarters in Provo, Utah, and at the Utah County Sheriff’s Office Range in nearby Thistle, Utah. 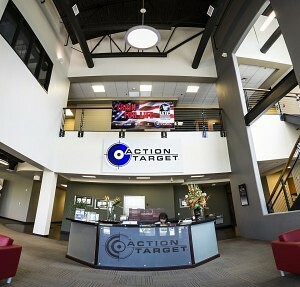 Action Target has hosted LETC for over 20 years, providing Law Enforcement officers everywhere an opportunity for superior firearms training with some of the best instructors in the industry. Last year LETC hosted 128 officers from more than 20 states, Canada, and Brazil. This five day training event is designed to aid department firearms instructors in their training effectiveness and skill. Those instructors take this knowledge back to their respective agencies and train their officers. 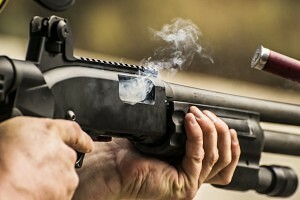 Courses are designed to challenge each individual’s skill level, pushing even the expert shooter to improve technique and ability. 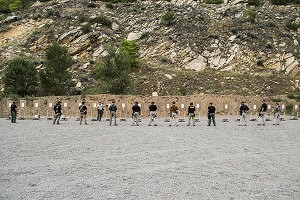 Classes cover a variety of subjects and weapons platforms including pistol, rifle, shotgun, and precision rifle. There is even a medical class geared towards range operations. Action Target has instructors from Safariland Shooting School, Hoffner’s Training Academy, Spartan Tactical Training Group and more. 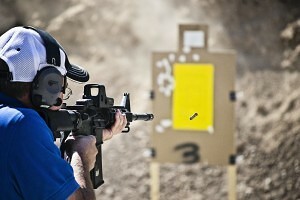 The instructors at LETC offer decades of experience in firearms and tactical training and accuracy. Tuition is only $550 which includes four full days of training and six meals. Click here for registration information and to learn more about event details. Contact David Mathis at davidm@actiontarget.com for any registration questions or concerns. LETC is limited to the first 160 paid applicants, and classes are first-come first-served. Slots are filling up fast, so register today. 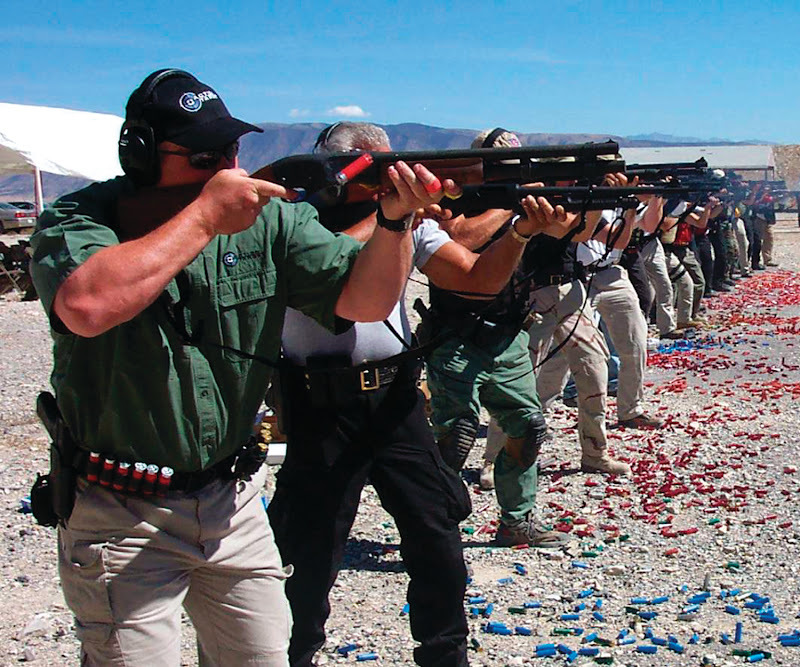 While primarily geared toward law enforcement firearms trainers, all law enforcement officers are invited to attend. 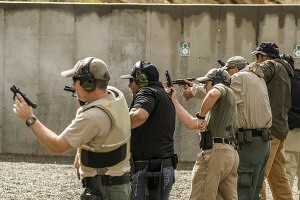 Join us for a week of top-notch firearms training! 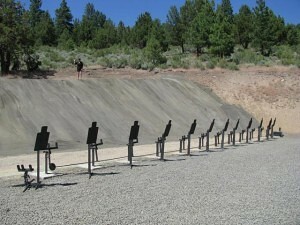 I was first introduced to live fire shoot house training in 1986 at the world famous Gunsite Academy in northern Arizona. I had already been a Denver, Colorado, police officer for more than 10 years and was then a member of its full-time special weapons and tactics team (SWAT). Prior to transferring to SWAT, I was a patrol officer assigned to the northeastern quadrant of the city and county of Denver. As a police officer, I had to search many businesses after silent alarms had been tripped as well as respond to calls that put me inside someone’s house. I had been trained to conduct building searches and how to handle calls inside structures, but I had not been exposed to firing live ammunition in that training arena. Was I sufficiently trained to conduct such police actions? I believed I was, but my eyes were opened to a higher level of training that my department had not exposed me to. In 1993, my department received a civil judgment against it for not providing adequate training to its police officers. My department had not provided “periodic target course shoot/don’t shoot live training under street conditions, particularly for officers on the front line.”1 We had required our officers to qualify once a month (later changed to quarterly) on a live fire course on a square range. This traditional range is exactly the same as all firearms ranges in the country used for law enforcement qualification and training. But our qualification courses did not require decision making, had little to no movement by the shooter, and was performed under adequate lighting conditions. 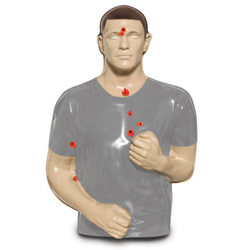 The qualification target would turn and face the shooter which initiated the officer to present his/her weapon and fire the required number of rounds into the target before it edged away. This is the standard for all law enforcement agencies in the country. Then, some type of score is given for the officers’ records. If the officer passed, no further action was required. No additional training was given. We know today that periodic qualification is just the beginning for our officers’ records. Continuing education is required in subject areas such as changes in the law or department regulations relating to the use of force, other options available other than the use of deadly force, and the list goes on. We now know we have a responsibility and obligation to expose our officers in training to as many situations as possible that they may encounter on the street. If you believe you do have a responsibility and obligation to train your officers to the highest possible level, and your officers may find themselves in a structure like a building or house or business, then you need a live fire shoot house. Historically, live fire shoot houses have been made out of old automobile tires, plywood, cinder blocks, and other material that stops bullets. 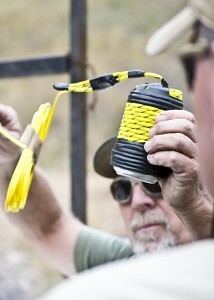 My SWAT team even made portable bullet traps that allowed us to make any building into a live fire shoot house. With today’s modern technology in clean ammunition and live fire shoot house construction, we have no excuse not to train our officers in live fire indoor simulators. 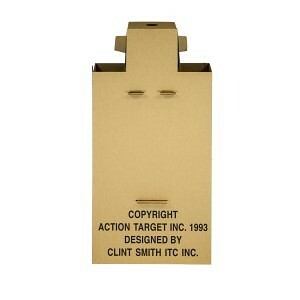 Companies such as Action Target make an excellent portable bullet trap . 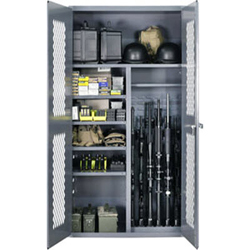 Its design and construction allow law enforcement agencies to tailor a structure to their environmental and economic needs. I call it the “pay now or pay later” program. You can either pay now to build an indoor live fire simulator or you can pay later for not providing this level of training to your officers. You make the decision. If it was my decision, I would pay now. I would play every possible card in my deck to get a live fire shoot house. 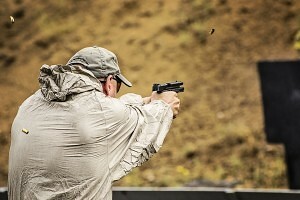 Contact Action Target for options about getting your shoot house. 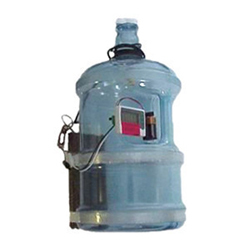 I am confident that they will help you with your needs. 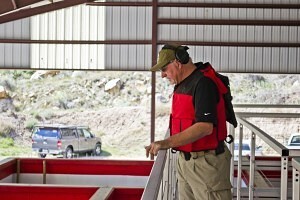 Bob Schneider conducting training at the Action Target Law Enforcement Training Camp in 2012. Bob Schneider retired from the Denver, Colorado, Police Department after 21 years of service. He spent 18 years assigned to his department’s full-time special weapons and tactics team. He is a certified firearms and less-lethal weapons instructor and has taught classes to federal, state, and local law enforcement officers as well as to U.S. and foreign military units here and overseas. Bob has developed several firearms and tactics courses to include training scenarios that are being used by popular simulator manufacturers. He currently lives in Denver, Colorado, with his two sons, Dylan and Jake. The views and opinions expressed in this article are those of the author and do not necessarily reflect the official position of Action Target as a company. 1. Zuchel v. City and County of Denver, Colo., 997 F. 2d 730 – Court of Appeals, 10th Circuit 1993. 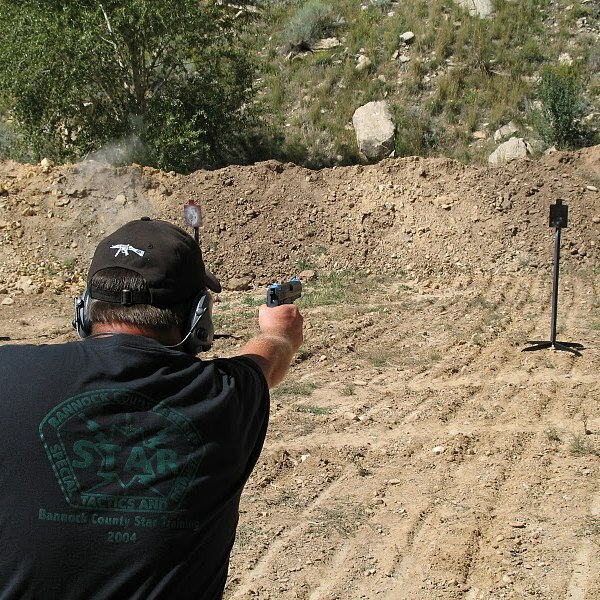 Editor’s Note: The views in this article are the author’s own and don’t necessarily represent those of Action Target, Inc.
Action Target hosted their 20th Law Enforcement Training Camp earlier this year. While pondering some of the unfortunate recent tragedies that have struck the law enforcement community nationwide — including a higher percentage of lethal attacks against police officers as well as the accidental shooting death of a 24-year-old corrections officer — I thought I’d offer some tactical tips to law enforcement training instructors. Repetition is the law of learning. The more students accurately perform a variety of techniques, the more comfortable they will become. 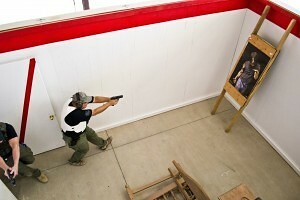 Tactical training drills allow officers to develop individual skill and assist in building muscle memory. Muscle memory is a kinesthetic phenomenon whereby specific muscular patterns and movements become ingrained. When movements are repeated over and over, eventually these movements can be performed without conscious effort. Under such extreme stress, cognitive ability is diminished and thought process is narrowed acutely. When facing the stress of lethal confrontation, officers should not have to think about basic weapons manipulation or marksmanship fundamentals; if they have to think about these basic fundamentals under stress, their chances for losing increase. On the other hand, regular practice and difficult, realistic, and challenging drills will increase survivability. 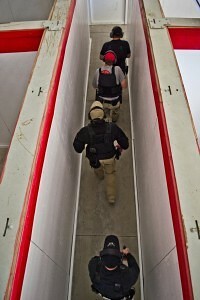 Repetitive training, therefore, is vitally important when considering survival and life-saving tactical techniques. As with any type of improvement, officers can never increase their ability unless they fail on occasion. No person can develop unless they try something new and push themselves to the limits. Failure or imperfection on a specific technique or drill is likely to occur. The idea is to have officers meet successes. Small improvements provide satisfaction which, in turn, buoys individual esteem and maintains interest and encourages persistence. 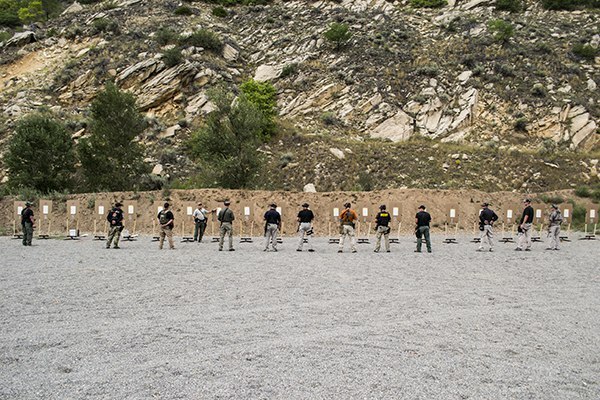 As a training instructor, here are some of the key points to remember during every range training opportunity or any tactical firearms training period. 1) Individuals that are considered “experts” in their chosen field are extremely good at the fundamentals. Focusing on the basics is a positive thing. On occasion, give students something fun too. No one wants to be bored at the range. 2) When training, it is important to remember the end goal: preparing for lethal confrontations. 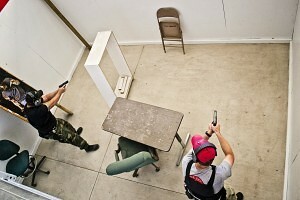 In order to maximize training, (a) the individual shooter should envision that each and every shot during the tactical evolution is, in reality, a lethal force situation; and (b) trainers should mimic real world events. For instance, in my last custom tailored Patrol Rifle Course, I had police officers wear the same Active Shooter go-bag that they carry in their squad cars. I had them reload from that pouch. The feedback was positive, mostly because the training mimicked real circumstances. In short, train as you fight. Don’t say, “In reality we’d do this but we’re not going to train like that.” That’s cheating yourself and your team of valuable training! Cheating or foregoing reality will get someone hurt or killed in the long run. 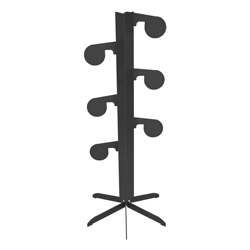 3) Give students several tools to fill up their tactical toolbox, but focus on what will work best. Remember, it’s not a good tactic if it doesn’t work well (a) on the move, (b) in low-light, or (c) under stress. 4) Start out slowly. Speed will come in time. Or, perhaps once you’ve done some drills at full speed, slow down to quarter or half speed until techniques are perfected, then speed back up. 5) Weapons handling skills can increase dramatically without ever shooting a single round. Dry and/or dummy round training periods are extremely helpful and are all too often overlooked. The nice thing about that is the price is right. With the budget crunch, remember, weapons handling skills doesn’t mean you have to shoot a lot of rounds. In fact, dummy rounds work wonders. 6) Firearms are inherently dangerous. Safety briefings and safety are occasionally thought of as the same thing; we’ve said it and we’ve heard it said a thousand times. Unfortunately, it’s under that premise when accidents happen. Don’t think it will never happen here. Creating an atmosphere where everyone’s comfortable enough to say, “Watch your muzzle” or “Get your finger off the trigger,” is essential. No egos among the instructors or the students. Remember, always keep safety first. 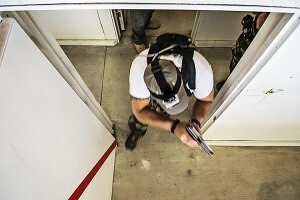 Use these tips for a safer, and more effective, training environment and continue to hone your skills and keep adding to your tactical toolbox. Jeffrey Denning is a former SWAT team leader, security contractor, undercover Federal Air Marshal, and Iraqi War Vet. He is the founder of Warrior SOS and writes tactical articles for Guns.com. In remembrance of all those who lost their lives or were otherwise affected by the egregious acts perpetrated against the Unites States on September 11, 2001, Action Target has created a 10 year commemorative logo. This logo will be added to all Law Enforcement Training Camp (LETC) shirts worn this year by all range staff, instructors, and participants. 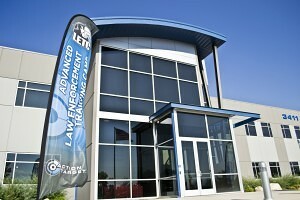 Action Target will showcase this new design to police officers from all over the U.S. at this year’s LETC. “With LETC 2011 being held in September, there really is no better venue for Action Target to show our respect for those who gave all on that infamous day. It has been 10 years and we want everyone to know that Action Target has not forgotten. All range staff, instructors, and students at LETC will get a shirt with this new design. They will take it back to their department, their city, community, and family, which is what we want. Action Target is not just a vendor to the public safety industry; we have established relationships with those we serve and fully support them in their efforts to keep this great nation safe. As a former police officer that was on duty during the time of the 9-11 attacks, I am proud to work for Action Target and know they have not forgotten,” said Jerrod Kermath, Market Development for Action Target. 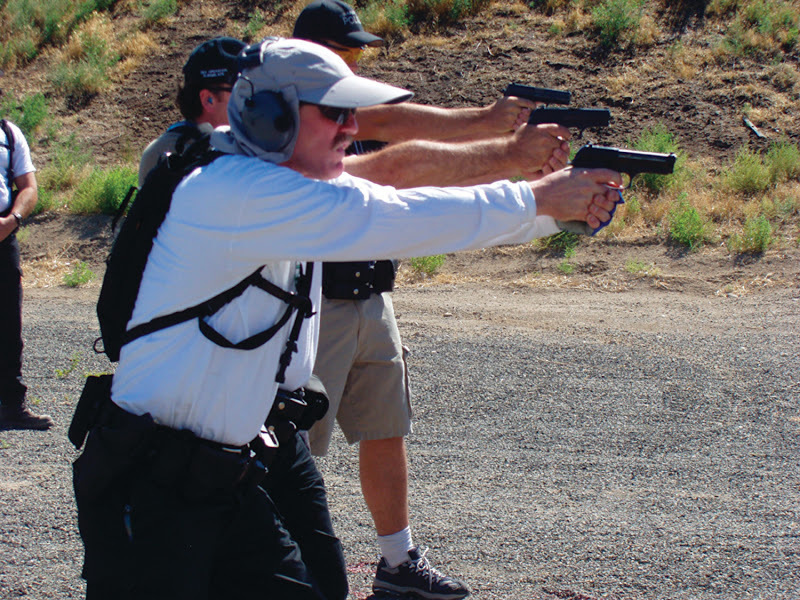 LETC is only available to law enforcement personnel and is one of the most intensive firearms program available. LETC allows all agencies, regardless of size, the opportunity to work with top instructors and bring what they learn back to their own training programs. 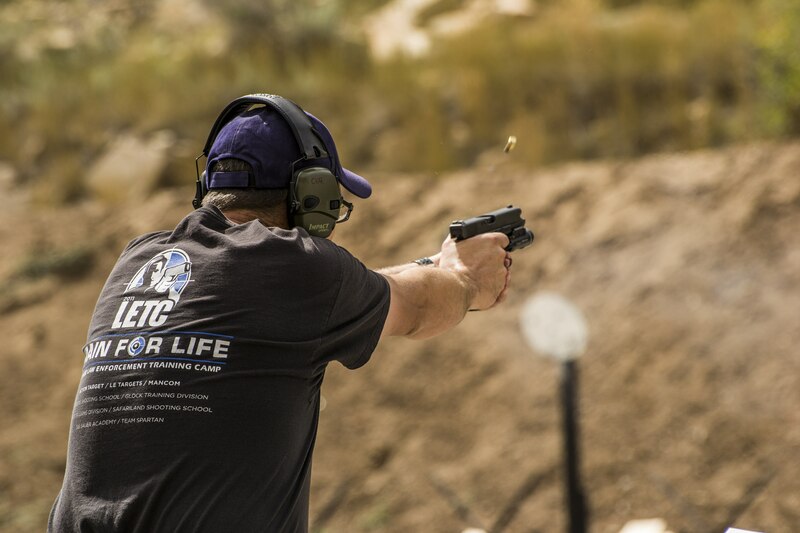 This year LETC has world-class instructors from the Safariland Shooting School, Hoffner’s Training Division, Team Spartan, GLOCK Training, Bill Rogers Shooting School, and the Action Target Academy. The high caliber instruction coupled with a comprehensive curriculum in a single training event makes LETC an annual attraction for agencies all over the U.S. and abroad. LETC runs September 12-16, 2011 and consists of four eight-hour classes, six meals, an official LETC shirt, a camp reference book, and a lot of trigger time. As a bonus, each year Action Target includes its ‘Dirty Harry’ competition. In years past, this event has pitted students against World Champion Rob Leatham. 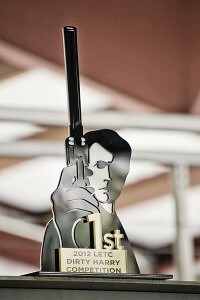 This year’s winner will receive either a firearm or free tuition to LETC 2012. For more information on LETC, visit the Training Calendar in the Academy section of their website. 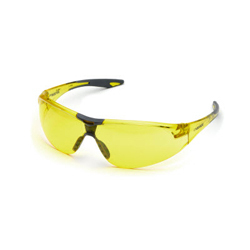 To purchase Action Target products for drop shipment direct to your U.S. range or facility, shop online at www.shopactiontarget.com . 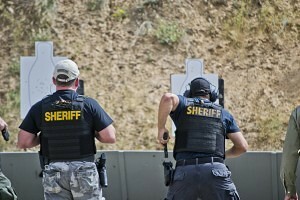 For other shooting-related needs, visit the Action Target subsidiary, Law Enforcement Targets.